Three relatively big binary options brokers are out of business. According to Leaprate all three sister brands – Cedar Finance, Brokerage Capital and Regal Options – have shut down their operations. If you try to visit their web sites, you’ll see that they are all off line. None of these brokers was currently regulated, so it probably will be very difficult for traders and clients to get their money back. 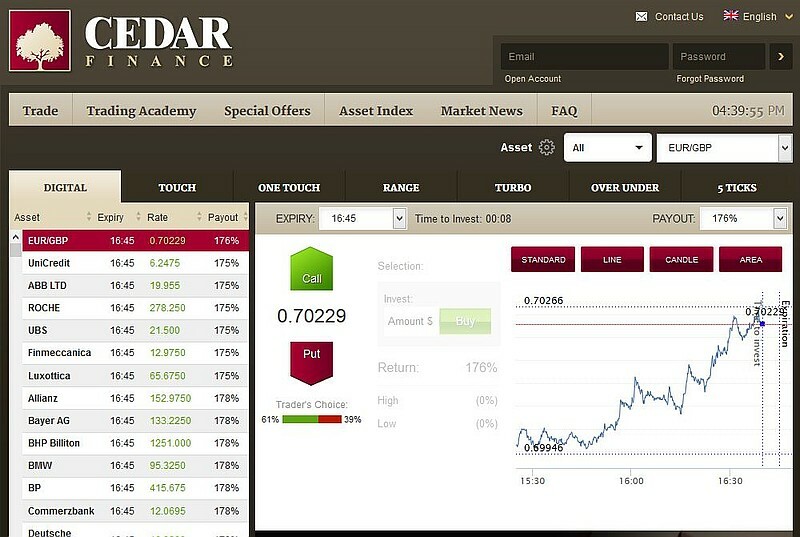 Actually Cedar Finance, Regal Options a Brokerage Capital used to be regulated via the TBSF company, but only after few months CySEC first suspended their licence and then fully revoked it in 2014. Cedar Finance was then briefly regulated again under the P.M. Investment Capital company, but lost its licence again in July 2015. Traders have apparently not been warned about these brokers going out of business, so a lot of people are now in the dark over their deposits. This episode illustrates why we recommend trading binary options with regulated brokers only. Because funds with regulated brokers are insured and you would be able to get your money back.